The schedule will get tough after ASB. Hard to see them win in Milwaukee and Toronto after their upgraded rosters in midseason. I want them to clean sweep the west-coast trip tho. oh wow...thats a ball breaker schedule . winning half would be great. Great overall team effort. Not sure anyone played poorly. Sadly the officials we're poor or else the Celtics win by 25-30 points. Refs making sure that NBA fans will keep watching. If Celts win by 25 or 30 points, that would not be good for business. Basketball fans love the NBA no matter what. I think we'll just have to take the good with the bad. Celts fans were not complaining when there was no foul called on Horford against Embiid last night. I feel like that was a makeup call for all the **** they didnt call during the game. Embiid gets away with soooo much pushing and shoving in the paint it's ridiculous. And then he has the audacity to complain when someone plays him rough. From what I saw, it was Embiid who initiated the contact. Horford didn't swipe or hack Embiid's arms. It was Embiid who put his arms underneath Horford's arms. I think Embiid just wanted to be bailed out. If the Sixers want to beat the Celts, they have to be tougher than that. If Celts can get a win in Toronto or Milwaukee, that's good enough. Celts really don't need to win both games, just 1 out of the 2. The Celts always struggle during west coast trips. But I think the Celts can go 3-1 against the Kings, LAC, LAL, and GSW. So far Celts only lost 2 games in February. Celts still on pace to win 52 games. Hopefully the Celts can go 3-1 in the next 4 remaining games in February. up coming schedule is like a playoff series . Boy we re gonna need Baynes sooo bad. We definitely NEED to sweep the Kings. Help our draft pick. Wasn't able to watch. Skimming some highlights (excited to watch later!) - is Hayward more athletic now? Granted he was defended by Luke Kennard or someone. With Ojeley shooting 75%, who needs Kyrie? Yes. He is driving to the cup and seems to have less concern about testing his athletic ability. 8 assists too! 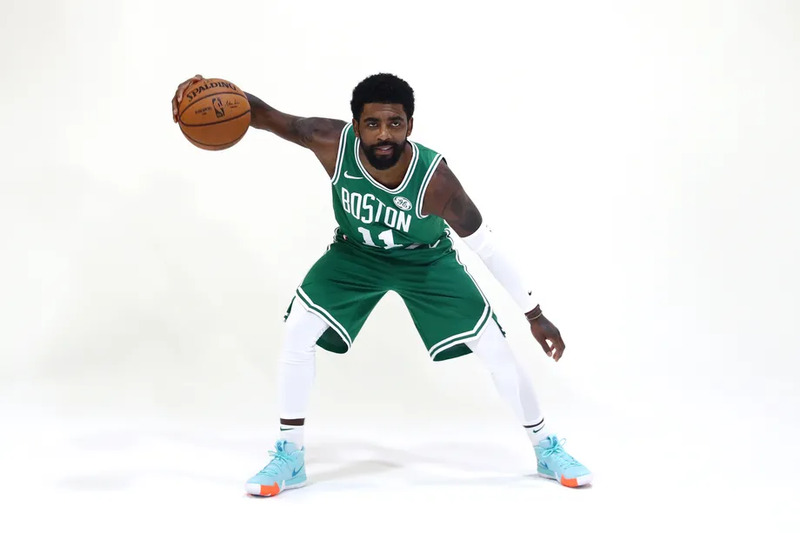 Without Kyrie (or even with him), he is playing point forward a lot of the time. Main difference for me personally is him spending less time with Rozier. I think Hayward is much better than Rozier, and also plays better without him.